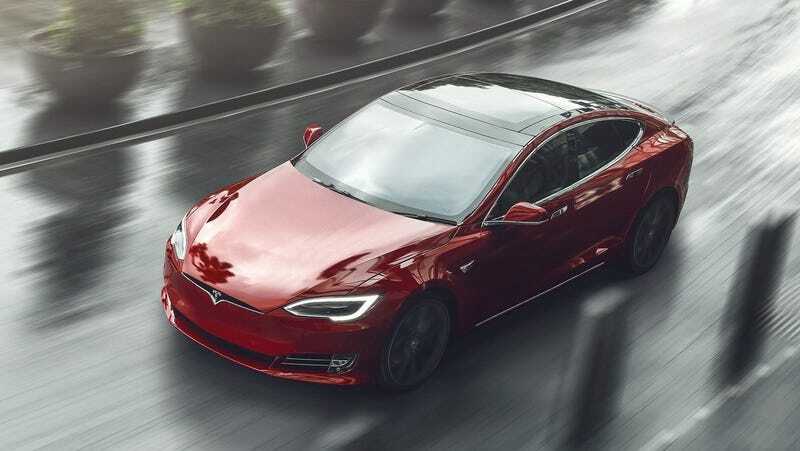 After 2016’s first fatal crash in a Tesla on Autopilot the National Highway Traffic Safety Administration investigated the Model S’s Autopilot and Autosteer functions. It ultimately concluded the system was safe. But a new paper says we shouldn’t trust the government agency’s research. Its website is almost strangely aesthetically simplistic, but the outfit’s work in data analysis has been cited by quite a few reputable sources, such as the New York Times and NBC News, according to the company. QCSC wanted to see the data in question for itself to try and corroborate or debunk the NHTSA’s statement which, months after being published, still appeared to be oddly unsubstantiated. The organization explicitly stated that its study was not funded by Tesla or its rivals, nor any other outfit involved in the autonomous automobile space. QCSC says that no “individual or entity” provided financial support to write the report or deal with the litigation necessary to get the data it’s based on. Also noteworthy is that “neither the Reviewer nor the Investigator leading NHTSA’s Preliminary Evaluation” responded to QCSC’s invitation to discuss the data. The report goes on to explain what QCSC identifies as failings of NHTSA’S analysis: Namely that the agency did a bad job interpreting data it had about Tesla crashes. “QCS[C]’ analysis dismissed the data from all but 5,714 vehicles of the total 43,781 vehicles in the data set we provided to NHTSA back in 2016. And given the dramatic increase in the number of Tesla vehicles on the road, their analysis today represents about 0.5 [percent] of the total mileage that Tesla vehicles have traveled to date, and about 1 [percent] of the total mileage that Tesla vehicles have traveled to date with Autopilot engaged. NHTSA’s original report did not only indicate that “Tesla vehicles crash rate dropped by almost 40 percent after Autosteer installation”, but the agency also concluded that it “did not identify any defects in the design or performance of the AEB or Autopilot systems” nor did it find “any incidents in which the systems did not perform as designed” (Page 10, last paragraph and Page 11, last paragraph, respectively). They also found that “the potential for driver misuse was evaluated as part of Tesla’s design process and solutions were tested, validated, and incorporated into the wide release of the product” (Page 10, first paragraph). I guess it is neat that Tesla publishes safety data now, but I’m not convinced this response speaks to the purpose of QCSC’s report, which was to reveal the weakness of the NHTSA’s investigation following the 2016 “Autopilot” crash. “Between Figures 1-4 and Table 3, we carefully accounted for each and every one of the 43,781 vehicles. By grouping the vehicles into different cohorts that shared common characteristics, we show the readers of our paper how NHTSA’s treatment of these individual groups affected NHTSA’s crash rate comparison. I can’t tell if that means the government agency is taking the report seriously enough as to warrant a long and comprehensive rebuttal, or if they’re just brushing it off. Time will tell. [The ideal result would be] That government and industry might accept the necessity of international, comprehensive, open, and trustworthy surveillance of advanced driver-assistance systems as they operate in the field. Such surveillance systems have been the key to advances in motor vehicle history for decades. Why wouldn’t we want to apply those lessons to this new field? It seems to me like the general public’s attitudes toward self-driving cars, or even semi-autonomous functions, have become a little more skeptical in the last year or so. The fatal self-driving Uber crash had a lot to do with that, as did other high-profile incidents as this technology gestates in real time on our roads. Overall, consumers and corporations seem to have come to grips with the notion that we won’t all have robotic chauffeurs by 2020, which is what it felt like everybody thought when I was at the Consumer Electronics Show a few years ago. But advanced driver aids and automotive semi-autonomy isn’t really going away. It’s just taking longer to develop, and as these features are added and refined, they’re definitely something a lot of people are going to keep working on and trying to use. The agencies that govern our roads are going to have to stay sharp to keep up.